The launch of ShortsTV, a platform which is the only such channel dedicated exclusively to short films, was marked with a fancy do on Thursday at PVR, Forum Sujana Mall, Kukatpally. The launch of ShortsTV, a platform which is the only such channel dedicated exclusively to short films, was marked with a fancy do on Thursday at PVR, Forum Sujana Mall, Kukatpally. Film makers, socialites and TV personalities made their way to the do which included cocktails and canapes before the screening of four award-winning short films. 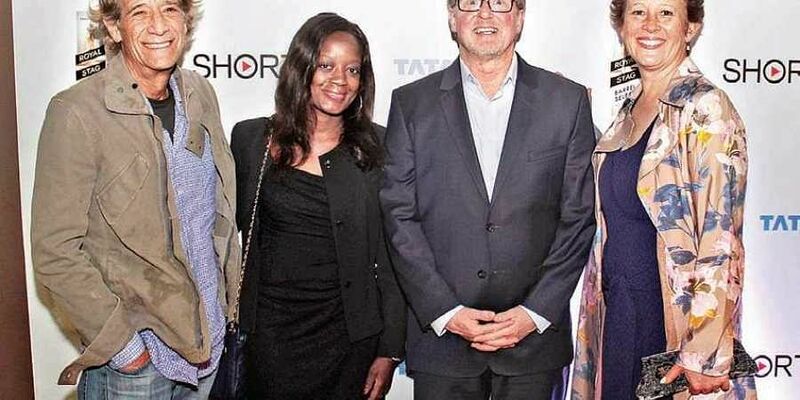 The guests of honour who also sat down for a panel discussion before the screening included Carter Pilcher, the Chief Executive Officer of Shorts International, Oscar-nominated filmmakers, Kristina Reed, Jon Bloom and Chintan Sarda. Kristina Reed, whose animated short film, Feast, was screened at the event spoke about how short films come to life in her experience.“As long as someone has a story to tell, there will be those who listen. Anyone at the studio can come up with an idea, and work their way up to the approval. The need to curate and cull the ideas is because we will be putting in an entire team behind that idea and to be sure of the subject and to have the concept speak to you and invoke an emotion is essential,” she says. Chintan Sarda on the other hand, believes contrary to a major opinion that short films can only be a stepping stone to the ultimat dream of feature films. “It is certainly a stepping stone, but it does not have to be only that. Short films can be stories in themselves that can put you through the same journey that a feature film can. It is a medium and a format in itself and there are many avenues opening up for short filmmakers. So much so that many award-winning feature filmmakers come back to make movies in short as their preferred medium. Each story picks its format in which it can be told best,” he says.Of the four short films screened that evening, Feast and Death of a Father were animated while Eleven o’ Clock and A Silent Child were live action ones.